Do you want to be your own boss, work from home and spend more time doing the things you love? If you said yes and you have a working understanding about Internet and sales, learning how to start a webstore could be just the prospect you have been seeking. Starting an online business is not as hard as you might think. It is certainly simpler than starting a brick and mortar location. In addition to this, the start-up investment needed are far less than they would be with a physical store location. Once you have your domain name registered and pointed at your web host, you should now set up your own website. You can even use your shopping cart script as your starting website. You can install your shopping cart system using tools like Quick Install or Fantastico in your website’s control panel. There are many articles on the Internet for guiding you through this step if you are not familiar with it yet. Your website’s interface is important. It is especially important to make it easy for customers to browse through your website and be able navigate through each page smoothly. For a start, your website’s design is an added plus to your business. 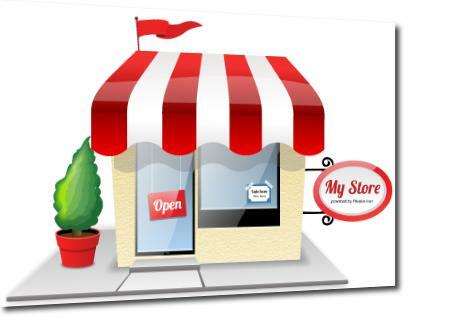 Make sure that you also take time to create an online catalog for your products and services. Categorize your products if you sell various types of items for your customers to easily find the products they are interested in. Make sure that once you have all your products imported, you should set up your fulfillment section. For the different options on payment, you can use different payment gateways like PayPal or 2Checkout. For shipping, you can specify the shipping costs for different items, different places, or simply just post a table that shows the different shipping rates. Learn to utilize modules. Most web hosts have these add-ons especially when you sign up for an Ecommerce web host package. You can use these modules to add discounts or special offers. Always check your shop reports to see how your online store is doing. Make sure you have the latest patches and regularly check for any glitches or bugs in the system and let your web hosts technical support team know. Remember that choosing the cheapest domain registration cost or the cheapest web host is not always the best way to successfully set up an online store. Make sure that the services you need are accessible and that you are enlisting the service of a good domain registrar and web host.